The signs were there, back in 2017, when Amazon acquired the Dubai-based e-commerce giant Souq.com (the Middle Eastern equivalent of Amazon.com) for $580 million. It looked like Amazon was planning to expand. Now, less than two years later, Amazon is confirming those earlier suspicions. 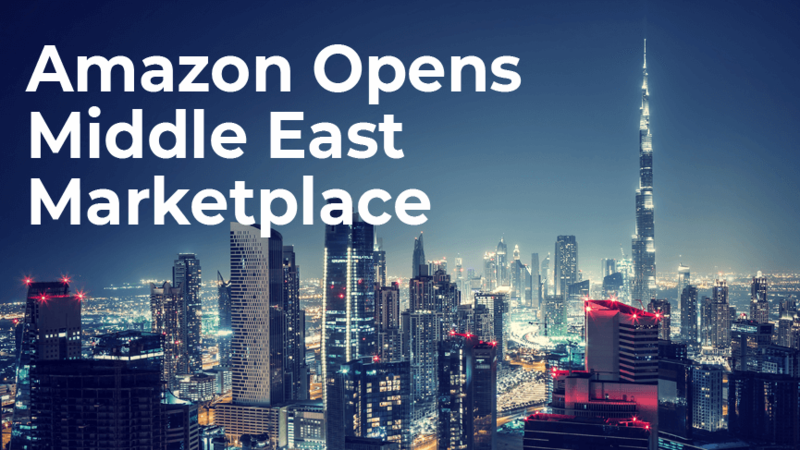 They’re extending their international reach by opening a brand new marketplace: Amazon Middle East. Taking the lead in launching this new store is Amazon Web Services (AWS). Starting early this year, the AWS Region team will build out the infrastructure needed to get Amazon up and running in Bahrain. By introducing these mega data centers and resources, Amazon is prepping to support a new wave of innovators, and the growth of new businesses. What does this mean for third-party sellers? Well, the most obvious benefit is that there is now one more marketplace to choose from, if you’re thinking about expanding globally. Amazon is even encouraging some of the largest third-party sellers in North America to take a chance and head east. Whether they are providing any incentives to make that move, however, remains to be seen. The expansion also means that sellers currently using the Souq e-commerce platform might not be able to do so when Amazon Middle East opens. In fact, Amazon is telling sellers to list on the new marketplace, rather than Souq.com. But whether or not Amazon will close Souq.com is still up in the air, as evidenced by the 52 full-time jobs listed on the site (as of 2/11/19). Will the Amazon Middle East market be risky? Potentially, yes, since a large majority of the Middle Eastern community doesn’t shop online. The in-person shopping experience offered at high-end malls and shopping centers is still highly valued, especially in the United Arab Emirates (UAE). Additionally, many people associate Souq.com with counterfeit goods. Shoppers have been burned in the past and don’t trust the authenticity of products sold on the platform. Because of that, those same buyers might assume products listed on the new Amazon store are counterfeit as well. But it’s extremely likely that a lot of consumers will still give Amazon Middle East a chance. With Amazon’s commitment to protecting customers, and sellers on the new platform proving their professionalism and product quality, even the most skeptical buyers might change their minds about online shopping. So, if you’re a current seller looking to expand internationally, look beyond your current product selection. Consider the customer base in the Middle East and the products they CAN’T access; that will be crucial to your success. While Souq.com primarily services the UAE, Wadi.com focuses on the Saudi Arabian market. Before Amazon entered the picture, both platforms dominated the e-commerce market. And Noon.com is yet another online giant. It’s still in its infancy, but it is one to watch. So, as you can see, Amazon and Souq aren’t the only players in town. It will be interesting to see how Amazon stacks up against its competition. Will they be able to stand out? The upside is that the Middle East region’s e-commerce sector is growing faster than any other marketplace. And despite the losses from its international operations last year, Amazon is still committed to expanding into new territories. During Amazon’s 4th quarter earnings report on January 31, they announced plans to continue investing in global marketplaces, throughout 2019 and beyond. We’ll be keeping our eye on where they go next!